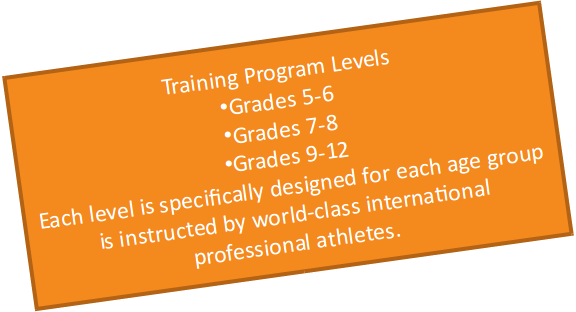 The Run Like a Cheetah Program is a 501 (c)(3), non-profit organization dedicated to ending childhood obesity through lectures, physical activity and instruction from a select group of international professional athletes as well as local volunteers to enact change for the children. These program instructors inspire and encourage a healthy lifestyle and their families. To provide students with after school programs that educate and motivate them on the importance of healthy choices and active lifestyles using grassroots running as a base. Fort Worth Marathon is a non-profit organization responsible for the development and administration of the Fort Worth Marathon. The Marathon is an annual running event to raise funds for programs that promote exercise and health in the Fort Worth, Texas community and primarily in the public school systems. The Fort Worth Marathon’s goal is part of a plan to build youth running, with the more specific aim of battling childhood obesity in and around Fort Worth. Future plans include offering the model nationally. The Marathon also helps to spread the Fort Worth Marathon, Inc’s “Run Like a Cheetah” training programs to local schools by helping to develop after-school running clubs / programs. The key to success in the after-school programs is Fort Worth Marathon Inc.’s association with World-Class Athletes. The “Run Like a Cheetah” program sends these noted athletes to schools to bring insight and encouragement to Children. The Fort Worth Marathon, Inc’s “Run Like a Cheetah” training programs targets Athletes of different ages and ability levels and challenges them to reach their fitness goals. The core group that the program focuses on is young runners ages ten to eighteen. The “Run Like a Cheetah” school program educates them on health and fitness issues. The students participate in assemblies that take place during school and training programs that take place after school hours. As mentioned, one of the main focuses with this age group is preventing childhood obesity. Our World-Class Athletes act as mentors to the Children who wish to participate in the programs by urging them to improve their performance. The Athletes talk to the Children openly about the dangers of childhood obesity and some the other diseases that being overweight exposes them to, such as Juvenile Diabetes. The “Run Like a Cheetah” program is coached by World-Class Athletes who use their expertise to build programs that help individual runners to meet their goals of running faster. Marathon training is the final component of the “Run Like a Cheetah” training programs. This program is ten months long, beginning each January, focuses on teaching (17-18yrs) students how to safely compete in a marathon. Our World-Class Athletes work with the runners using strengthening exercises and cross- training. This allows the runners to complete a marathon and recover from the distance more quickly. The Coaches meet with each runner individually to be certain they have a proper training plan by placing them with other runners of similar ability. This allows the runners to train together in a group which helps to motivate the group and serves as a source of support. Your participation in the Fort Worth Marathon, whether by running in the Marathon, Half-Marathon, or helping out as a Volunteer will help to ensure these programs will continue for years to come. Without your continued support, these important programs may not survive once again placing our Children at risk. We thank all of you for your help! President – Fort Worth Marathon, Inc. Individuals interested in volunteering your time or making contributions to support the school program or race are welcome to call or contact our offices.